1 million tons of asphalt shingles from the waste stream and helped put them to recycled use. By reclaiming the formerly wasted asphalt-cement contained in these shingles, asphalt producers can reduce their AC costs, improve the quality of their product, and help reduce our nations dependency on foreign sources of oil. Our knowledge, experience and customized equipment have helped make us one of the leading RAS providers in the United States. 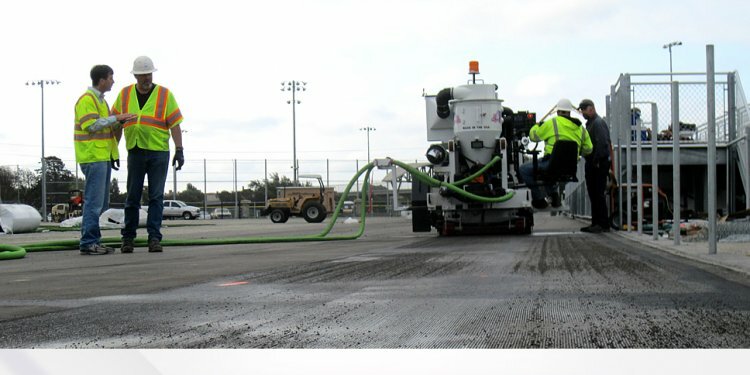 When old pavement is torn out, Recycling and Processing Equipment is there to help the contractor turn the Old into New. Our Mobile Crushing and Screening units are capable of producing several hundred tons per hour of Recycled Asphalt Pavement (RAP) suitable for use in a new mix. We provide highly efficient, low cost crushing service with our certified operators. Every state has their own specifications for using recycled asphalt shingles in their hot mix designs. Our experts know these specs and can produce the appropriate material. With our hot mix design specialist on staff, we help asphalt producers meet their individual needs. We are always on top of all regulations so we can produce the right product for each customer.